This is an unforgettable adventure for everyone who wants to explore the most beautiful places of Cap Cana! 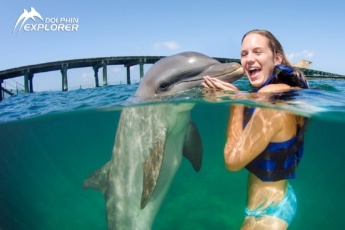 The Sunshine Cruise Punta Cana and one more additional excursion will make your day! Would you like to combine a fantastic boat trip with one of the attractions? You can do it during this unforgettable excursion at Scape Park! 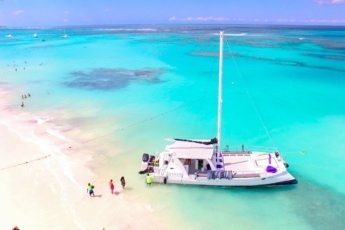 Enjoy the best boat trip ever along Cap Cana coastline: treat yourself to a tasty cocktail at a bar and fresh fruit! Practice reef snorkeling and take the most impressive pictures! A light lunch and one drink are included in the price of the excursion. What to bring: Closed shoes, comfortable clothing, swimming suit, towel, sunglasses, sun protection cream, good mood. What’s included in the Sunshine Cruise + 1 Attraction at Scape Park? Book your unique Sunshine Cruise Punta Cana experience now! One thing about Punta Cana is that it is colorful. The Sunshine Cruise at the Scape Park is just an experience we can’t get over. I think my band wants to come back and have more fun. They kept talking about it when we were on the bus back to the apartment. Exceptionally great activities and the staff. Wonderful is an understatement. What types of activities does Sunshine Cruise Punta Cana tour include? Sunshine Cruise Punta Cana includes comfortable two-way transportation, unique boat trip, 1 Attraction at Scape Park, a light lunch and complimentary attractions, such as Trail and Animal Encounter. Book and enjoy Sunhine Cruise Punta Cana. Is Sunshine Cruise Punta Cana excursion a private tour? Sunshine Cruise Punta Cana excursion is a group tour. In case you need a private Punta Cana Party Boat, please contact us directly. We provide personalized service in Punta Cana and will be glad to help you. What should I bring to go on Sunshine Cruise Punta Cana trip? To go on Sunshine Cruise Punta Cana trip we recommend you bring closed shoes, comfortable clothing, swimming suit, towel, sunglasses, sun protection cream and good mood. Do Punta Cana Cruise Excursions include trasportation from and to hotel? Our Punta Cana Cruise Excursions include pick-up and drop-off from any hotel or area of Bavaro/Punta Cana. We will contact you to inform you of the details. 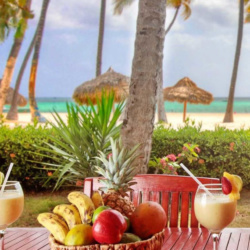 Are drinks and food included in Punta Cana Boat Tours? Mostly our Punta Cana Boat Tours include soft drinks and snacks. 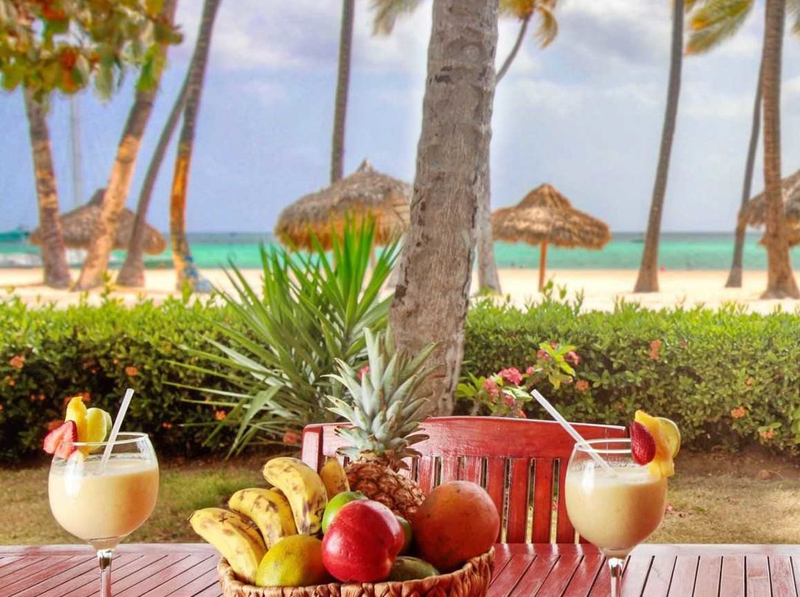 This Sunshine Cruise Punta Cana tour includes a light lunch and one drink. How long does this Punta Cana Boat Tour last? This Punta Cana Boat Tour lasts about 5 hours. 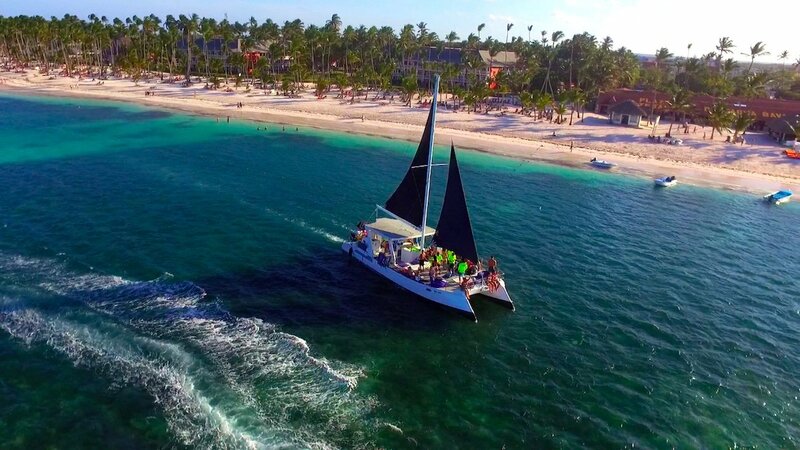 This is one of our best Punta Cana Boat Tours and Punta Cana Half Day Excursions. What time should I be prepared to be picked up? To go to on Punta Cana Boat Tour from Punta Cana we will pick you up from your hotel or pick up point at 8:00 AM. How to book Punta Cana Cruise Excursions from Punta Cana? If you would like to book Punta Cana Cruise Excursions from Punta Cana, you can easily do it on the page or contact us directly. What is Scape Park Punta Cana famous for? Scape Park Punta Cana is a natural theme park with numerous attractions and adventurous activities. 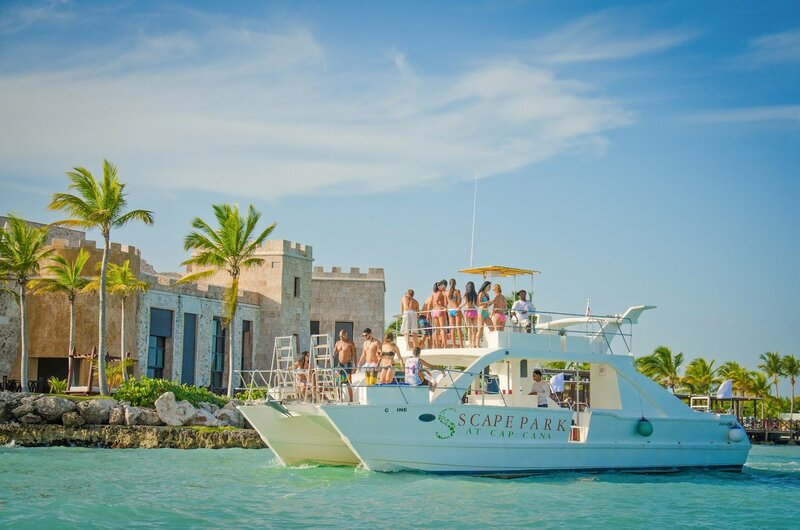 Scape Park Punta Cana is worth visiting, that is why book our excursion Sunshine Cruise + 1 Attraction at Scape Park. 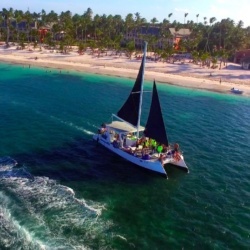 Enjoy a unique trip on board a spacios catamaran along the impressive Cap Cana coastline and an attraction at Scape Park Punta Cana. Is this Punta Cana Boat Trip a full-day trip? This Punta Cana Boat Trip is a half-day excursion. It lasts about 5 hours, and it takes about 1 hour for transportation.